It’s helpful to have a basic understand of heating systems within a home to get a better idea of what to expect when planning for heating/cooling costs in a new home. 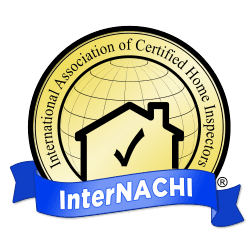 Here at HomeTech, our inspectors are trained under the InterNACHI Standards of Practice, to describe and identify, in written format, the inspected systems and components of the dwelling. A real estate agent should be able to identify the type of heating system within a dwelling, a home inspection should support the identification and help to bring up common traits associated with that type of system, year it was added to the home and common issues with that type of system. 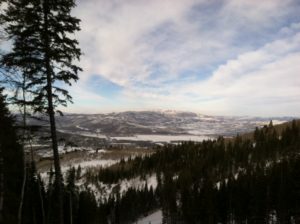 An example specific to the Park City and Heber communities is the use of hydronic or radiant heating systems. These systems are often very complex and take an experienced inspector to perform a proper evaluation. A HomeTech Inspector knows common building practices for the area well and will be able to provide helpful insight. We will employ the use of infrared/thermal imaging to help assess and confirm the presence of heat in these areas that would otherwise be undetectable. In this article, you’ll will learn that most heating systems can be identified and described in just four ways. The heat-conveying medium is what carries the heat from the source to the enclosure being heated. The fuel used is a distinguishing characteristic of a heating system. Wood, coal, oil and gas are used to produce heat. Electricity may be considered a fuel, but it can also be the heat-conveying medium. The nature of the heat is also a distinguishing characteristic. For example, it could be steam, or heat produced by combustion. The efficiency and capacity of the heating system can be used to distinguish one heating system from another. These four categories alone are not enough for most inspectors to attempt to identify and describe the type of heating system that they are inspecting. The use of the terms might be confusing. Other distinguishing characteristics and details are needed in order to identify and describe different types of heating systems in a concise manner that is specific to the property, as well as easily understood. Let’s take a look at how heating systems can be identified and described in more detail according to heat-conveying mediums. For example, if the heating system is a high-efficiency, gas-fired furnace, then the heat-conveying medium would be air. The inspector would use the heat-conveying medium as part of the identification and description of the heating system. In this example, the description would be a warm-air heating system or, even more accurately, a gas warm-air furnace. Most heating systems can be accurately identified and described using one of those four terms, which are based on the four heat-conveying mediums: air, water, steam or electricity. Classifications of heating systems based on the heat-conveying medium is a convenient method for property inspectors because it includes the vast majority of heating systems that are manufactured and being used today. Stating the type of heating fuel being used is essential to accurately identifying and describing the inspected heating systems.